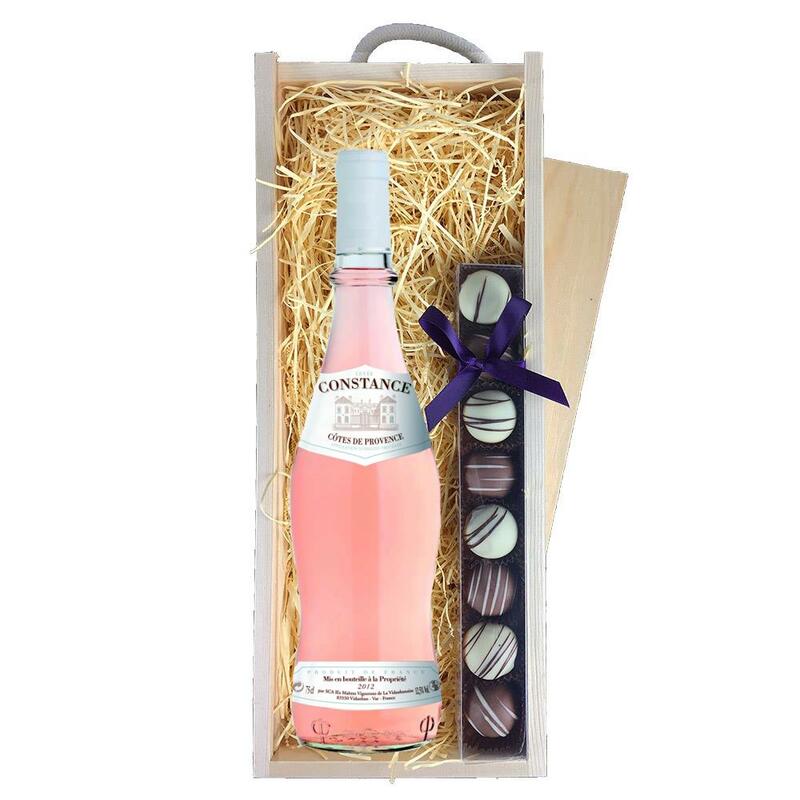 A single bottle of Le Provencal Cotes de Provence Rose 70cl and a single strip of fine Hand Made Heart Truffles (110g) Presented in a wooden gift box with sliding lid and lined with wood wool with a Gift Card for your personal message. Delicate colour and light wild strawberry nose, then elegant red fruits on the palate. A gentle acidity and great length perfect for drinking on its own or with light, fresh dishes This product is hand packed onsite by Bottled and Boxed, and is not affiliated with any other brand. Bottled and Boxed is responsible for this product combination/set.